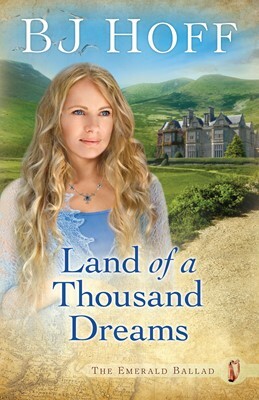 In Book Three of BJ Hoff’s bestselling Emerald Ballad saga set near the middle of the 19th century, Irish patriot Morgan Fitzgerald, felled by a gunman’s bullet, strives to restore his life and reclaim his future. But even as he takes steps to provide a home for Belfast orphan Annie Delaney and nurture his love for the beautiful, mute Finola, he finds himself again locked in a fierce battle with the powers of darkness. In America, Morgan’s friends Michael Burke and Nora Whittaker discover that the “Land of Opportunity” also teems with poverty, injustice, and corruption. From the opulence of Fifth Avenue to the squalor of the city’s slums, he fights against not only the evil running riot through the streets, but the immoral schemes of an old enemy bent on destroying Michael, the woman he loves, and his only son. Readers will be mesmerized by a drama that spans an ocean, taking them on a journey of faith and love that encompasses the dreams of an entire people seeking not only survival, but a land of hope where they can live in freedom and peace. About This Series: BJ Hoff’s Emerald Ballad series was one of the most memorable series published in the 1990s. With combined sales of 300,000 copies, these beloved books found a place in the hearts of BJ’s many fans. Now redesigned and freshly covered the saga is available again to a new generation of readers—and BJ’s many new fans due to her highly successful Amish series, The Riverhaven Years—The Emerald Ballad series will once again find an enthusiastic audience.